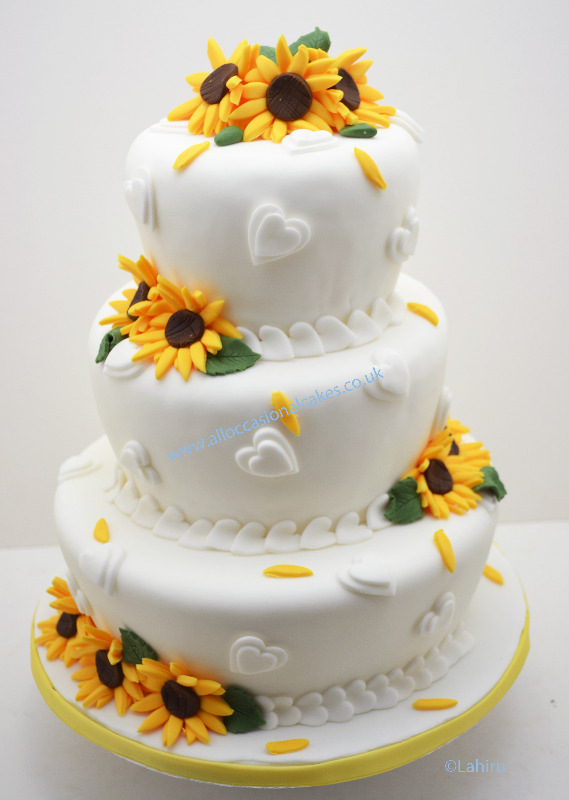 Simple and elegant tiered degisn, with a sunflower theme. All flowers individually hand crafted. We can perfectly colour co-ordinate to match your wedding theme and colour.